Marliss & Jeff invite you to enjoy the quiet setting of the Northwoods. 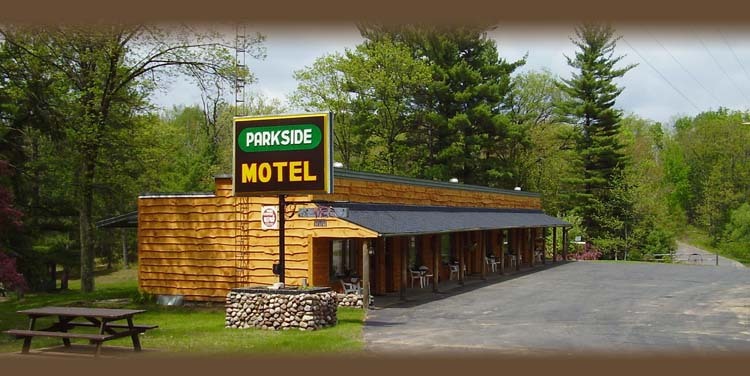 Our 6 unit motel is located on Hwy 51 South in Hazelhurst, WI. We are on the left, just before going under the old train trestle, which is on the Bearskin Trail. We welcome you to come & stay, watch the deer feeding in the evening or join us for a old fashioned camp fire and watch the beautiful starry sky, or take a ride on the Bear Skin Trail!